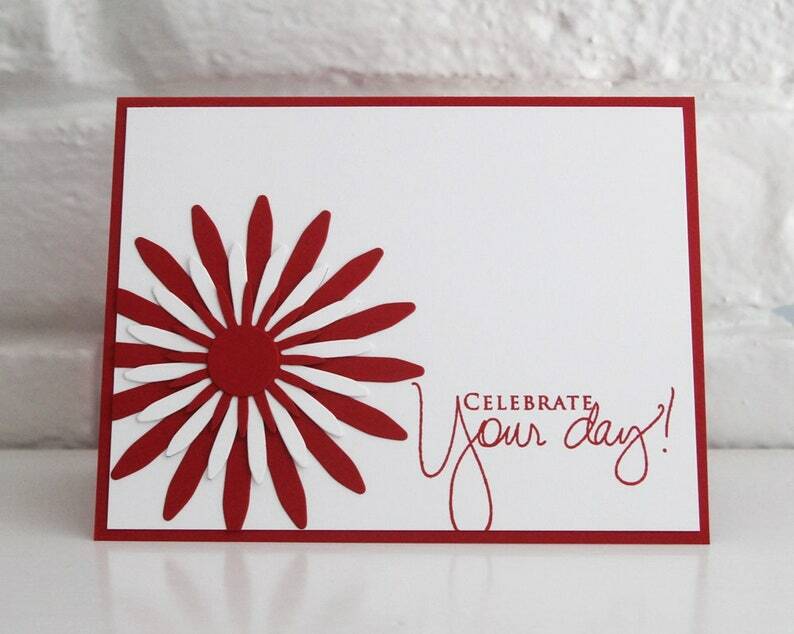 Send well wishes to someone and help them celebrate their day, whether it is a birthday or some other occasion, with this beautifully hand crafted card. The fun flower image makes it perfect for recipients young and old. Each segment of the flower is manually die cut from high quality card stock. The layers are then placed together to complete the finished flower and this is placed onto a white layer of card stock. 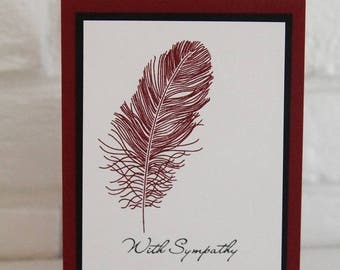 The sentiment is hand stamped with red ink onto the same white card stock and this is then layered onto a matching red card stock base. The inside of the card has been left blank for you to add your own special words. • Metric size: 13.97 x 10.80 cm.